1. Do you make a habit of telling your child to take a shower then fail to provide his towel? To those parents who intentionally leave this obligation unfilled . . . have you no sense of duty? You argue your child should have gotten the towel himself but forgot? Well he would forget, now wouldn’t he? He’s a busy person. His day is long, demanding, hectic. Nothing like your tranquil existence. And besides, that’s why you’re in his life—to alleviate stress by tending to his minutest of needs. Lord knows you’ve got the time. To be quite honest, in light of such monumental parental weakness, you may need to refresh your child-rearing competency with a course. Or a book. Now go apologize for being a moron. 2. Have you recently failed to plug in your child’s electronic devices at night? Do you not understand how devastating it is to wake up in the morning and reach for your iPad or iPhone only to discover the blood red glow of a 2% low battery warning? The fact that you reminded them to charge it seventy-two times before they fell asleep is completely irrelevant. Everyone knows it’s your job to conduct a nightly sweep of the house, searching for any device left uncharged. Perhaps you can limp through life without a device (since you grew up in the FREAKIN’ NINETIES), but it’s unnatural, sir or madam. Unnatural! There’s a word for parents like you. And that word is DISAPPOINTMENT. 3. Have you accidentally put seeded grapes in their lunch box instead of unseeded? They could die, ok? Die! This one time, one of their friends told them their cousin’s friend’s brother choked on a grape seed and suffocated to death. Did you hear me . . . because I said, DEATH? Your seven years in college and two degrees are telling you that never could’ve happened? Well, shows how much you know. Their cousin’s friend’s brother is a genius and doesn’t lie. It happened, and you placed the life of your own flesh and blood in jeopardy. How about you put those seven years of schooling to good use and just make sure the box says SEEDLESS next time? K, genius? 5. (Necessary run-on sentence ahead.) Have you recently told your child that it was too cold to wear shorts to school but they decided to wear them anyway then they got cold and you wouldn’t bring them pants because you’re too “busy?” Let’s just get this straight, shall we? You’re no meteorologist. Sure you can check your weather app and provide what you deem to be proper apparel for the day, but you don’t really “know.” As a matter of fact, the meteorologist, with all his meteorologisty knowledge, doesn’t even know. Only your child can assess the situation properly and make a determination that is right for her. When that assessment fails due to unpredictable atmospheric conditions and no fault of her own, your only course of action is to drop everything and transport warmer clothes to the school. It’s. Your. Job. Plus everyone knows what you’re doing isn’t that important. And by the way, if you didn’t want to care for you children, maybe you shouldn’t have had kids. I hope you didn’t get too far into reading this “survey” before you realized it is utterly ridiculous. But guess what? Allowing yourself to drown in the guilt of unreasonable and exorbitant expectations might be just as ridiculous. I understand there are exceptions, but for the most part, when it comes to how we care for our children, we give it all we’ve got and sometimes more than we’ve got. We put ourselves last in pretty much everything. We get very little praise, if any, and we don’t expect it. What we want is for our children to be happy and safe and well, and we trip over ourselves to make that happen. I saw this recently on a coffee mug . . . Behind every great kid is a parent who’s pretty sure she’s screwing it up. Can I just say, that is me? ME! In fact, I have been “guilty” of all five “atrocities” listed above over the past few months and actually let myself be burdened with guilt over them. But the truth is . . .
No good comes from a guilt-ridden spirit. Guilt is not from the Lord, and if it doesn’t come to you by way of Heaven, there’s only one other option. Our kids, even the absolute best, sweetest of them, are travel agents for guilt trips. 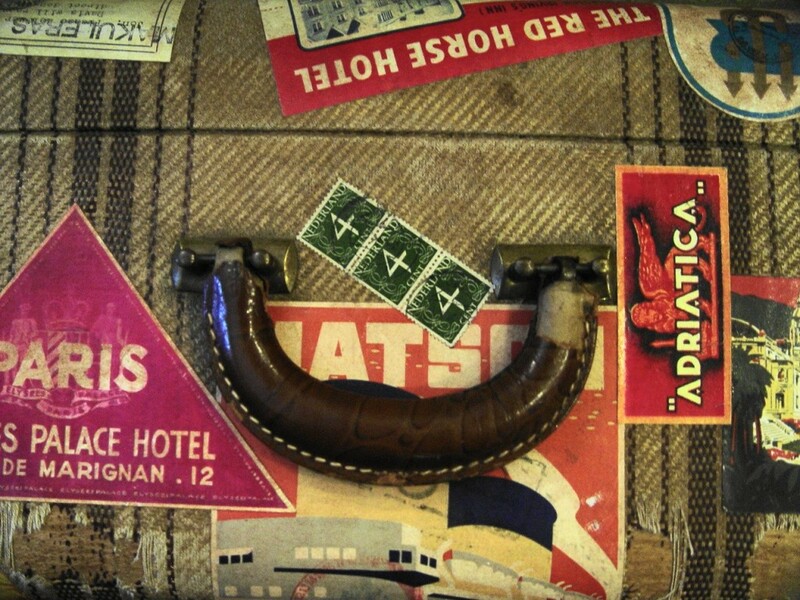 REMEMBER… You’re the one who must decide whether or not to pack your bags and go where they recommend.